Comments Off on How Does the Biometric Door Access Work? An access control system combined with a CCTV camera and intercom system can create better security features for any type of commercial building or residence in Singapore because they are deterrents to crime and can help with information-gathering. 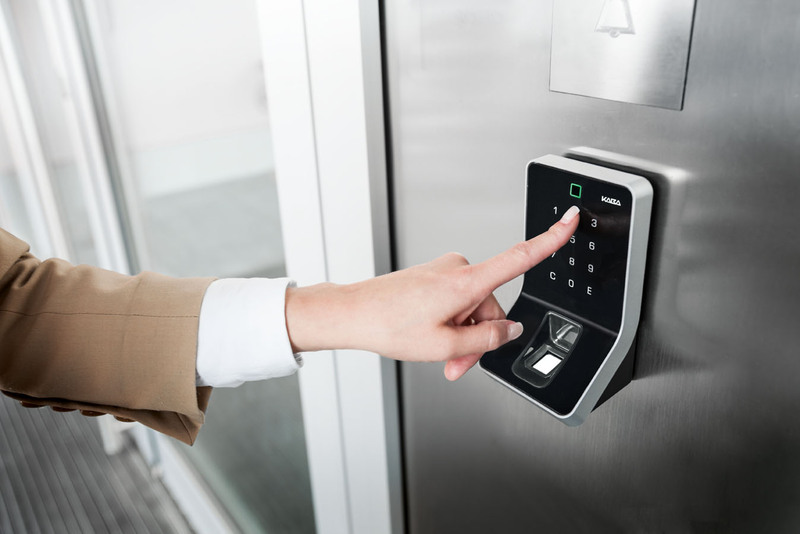 If you cannot choose between the conventional card and pin access or a biometric door access system, however, you should be familiar with the basics of biometric thumbprint and facial biometric, two of the most popular types used by establishments and offices. 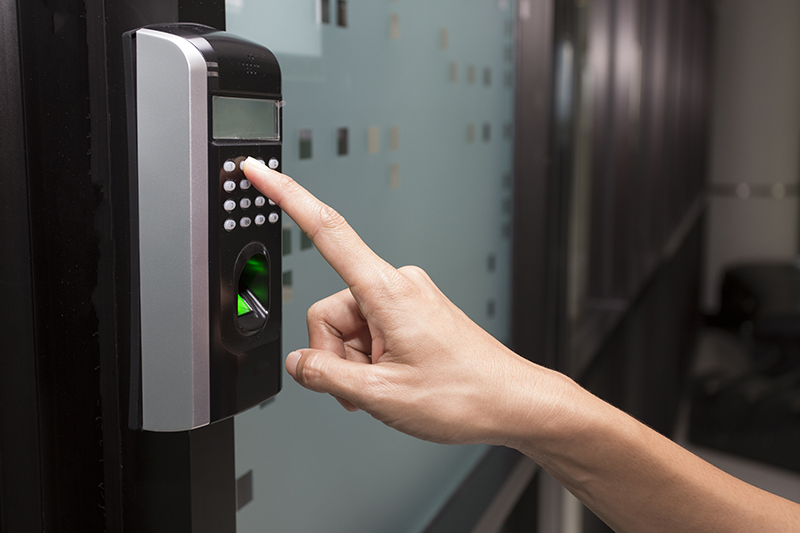 The earliest types of door access systems used keypad readers and card readers, but personnel are prone to losing or forgetting their cards and passwords that is why the alternative biometric thumbprint is a better solution for improving security. To capture a person’s unique fingerprint, the image is first scanned, converted into numerical algorithm, and then saved as a record in the database for authorized personnel or employees. What makes this type of biometric door access system invaluable is that the data cannot be faked easily and is less prone to errors. New personnel can easily be added to the secureoffice entrance card access machines database while those that are no longer affiliated to the company can simply be deleted. It can also be easily integrated into the CCTV camera system such as an IP CCTV through a secure network. The footage from the security camera can act as an additional proof in case the authorities are alerted of an attempt to bypass security. An office camera can also be installed near the fingerprint reader to monitor employee activities and attendance. Facial biometric may be a stuff of science fiction movies, but it is widely used in some public areas that get heavy traffic daily. Unlike the other biometric door access system types, the facial recognition system does not require a person to place a body part in front of a scanner or reader to be identified. This is very useful in surveillance if the security does not want to alert the public or any suspicious person that they are being monitored through a security camera. This can be used in combination with several IP camera in government offices, airports, stadiums, and other public areas in Singapore. The CCTV camera captures the measurements of the face through 80 nodal points such as a distance between several facial features. These include the length of the jaw line, the width of the nose, the distance between the eyes, the cheekbone shape, and the eye socket depths. The measurements result in a specific numerical code or a template which is then stored in the database. When the IP camera surveys a crowd, it compares the templates in its database to the captured samples in real time. If used as a confirmation of the identity of an employee for example, the person should stand at least two feet from the security camera and wait for a maximum of 5 seconds to determine if the sample matches the data. This less intrusive process in identification is what makes it an ideal alternative to other biometric door access systems used for public places in Singapore. Like biometric thumbprint, it can be very difficult to bypass, too. 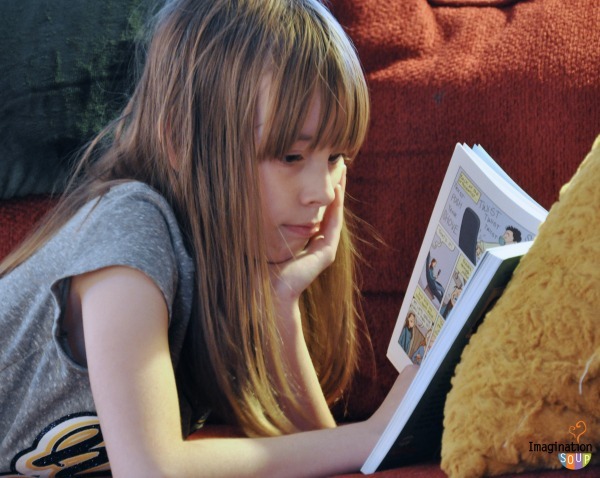 If your child enjoys reading and looking at illustrations, it’s a great way to introduce the fun of reading children’s graphic novels or comics. 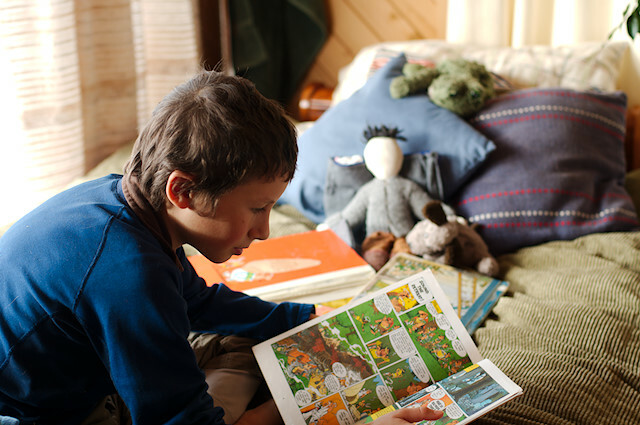 Below are twelve of the best in the genre that your child might love. Even without text, the illustrations tell a heartwarming story of an immigrant’s struggles in an imaginary world. The comics aims to portray the difficult life of immigrants in a way that children will understand. Cece moves into a new class where all her classmates are curious about her unusual hearing aid. 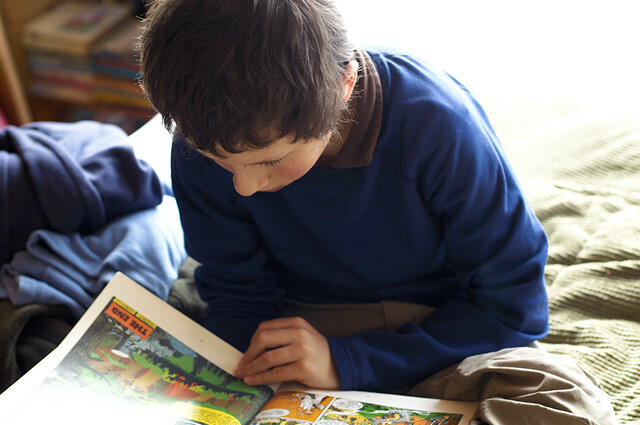 The story will introduce your child to the struggles of children with disabilities. See Iraq in a different light before the devastating conflicts of recent times has placed the country in a bad light. The comics shows a different side of Iraq and introduces its rich history. Explore life as a robot in this heartwarming story of Little Robot and his friends. Kids younger than 5 years will also enjoy this volume because it’s easy to read. This comic anthology features several different stories in a total of eight volumes. Your child might love the beautiful illustrations in this series. This sequel to the Mirka series features a delightful story of Mirka and a meteor that has been turned into her twin because of an evil witch. Inspired by the real-life dog named Laika that was the first canine to be sent to space, the story is told from different points of view, including that of the dog herself before she was chosen by the scientists. Made up of three different stories, it features the tales of Sun Wukong, Jin Wang, and Danny. Jin Wang and Danny’s cousin both experience the difficult transition of having to live in America. This acclaimed series introduces the Belgian reporter Tintin and his dog Snowy, who went on to experience fantastic adventures and meet different people along the way. Written by a biologist, it tells the story of the honey bee Nyuki in a five-volume comic series. The Knight is about to leave for an adventure, but to her surprise, her precious Teddy is missing. She then went searching for it in the woods. Published as a serial in a newspaper, this comic series introduces Jimmy Corrigan and his long-lost father whom he met for the first time in 36 years. Although most of our pets have evolved to adapt to our lifestyle, including the food we eat, there are some ingredients in the human food that are commonly known to be harmful to pets while others are safe. But which of these common-sense beliefs are fact and fiction? This belief probably comes from reports of humans getting allergic reactions to corn, but even if corn allergy among humans is genuine, corn allergy in dogs and cats is very rare, but there are cases of pet allergies to wheat, beef, dairy, chicken and chicken eggs, soy, and lamb. Corn is in fact highly digestible and an even better substitute to barley, rice, wheat, and sorghum. They’re not necessarily bad as long as the ingredients are not toxic to the pets. In fact, most pet owners alternate commercial pet food with homemade food to ensure that they are giving the best for their pets. Although dogs have evolved from carnivorous wolves, they are omnivores that need a balanced diet of meat, vegetables, and grains. Some scientists challenge this omnivore claim, however, but as long as your veterinarian says it’s okay for your dog, then you should play safe. 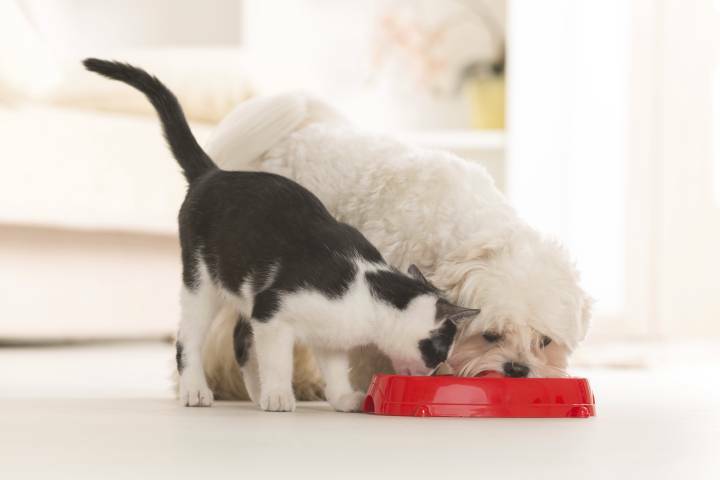 Studies show that pets do not benefit from not eating grains, because they can digest grain and even get additional carbohydrates that active pets need. However, you should not feed your pet with food that contains wheat if it is allergic to that ingredient. If you read the labels on the pet food packages, you will find food by-products among the ingredients. These are not necessarily bad for your pet and are in fact highly beneficial to their health, especially ingredients such as animal protein, animal fat, beet pulp, tomato pomace, pork liver, beef liver, heart, and kidney. 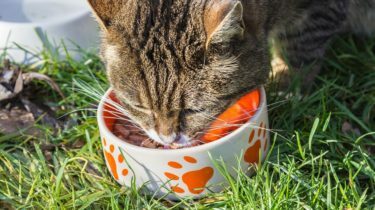 Protein is necessary for a pet’s growth, but that does not mean it should be consumed in excess. A complete, healthy diet appropriate for your pet is the best way to keep it healthy, instead of an exclusive all-meat or all-vegetable diet. Cats and dogs are omnivores and need a complete, balanced diet of protein, vitamins, and carbohydrates to be healthy. They do not need to follow diet and lifestyle fads because they have different needs than humans. Puppies and kittens do not necessarily need an age-based formula, although the size of each feeding and how often you feed them will matter. 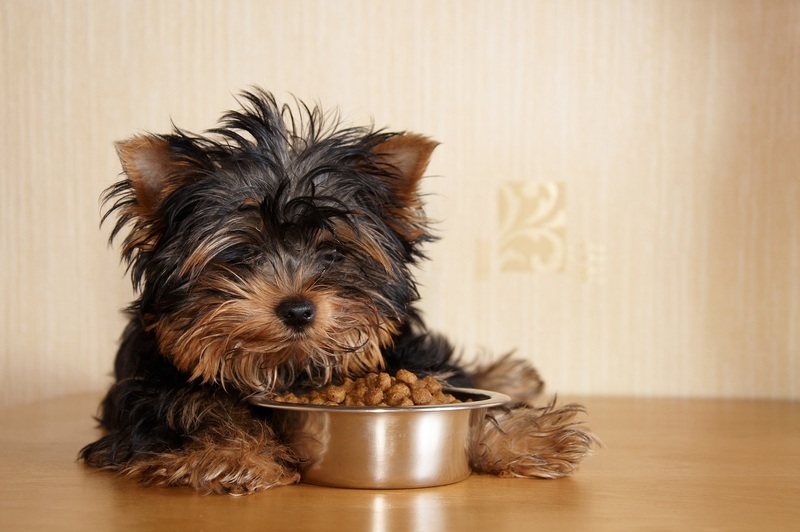 Vary their food choices instead by serving raw, homemade, canned, dehydrated, and freeze-dried pet food. Losing the sense of hearing is a horrific experience anyone should never experience. Unfortunately, a study conducted in 2014 showed that 1 out of 6 people in Singapore suffer from hearing loss, while a total of 5% of the world’s population are affected according to the World Health Organization. If diagnosed and addressed early, hearing loss can benefit from the use of hearing aids and implants, but information about this condition is often ignored by most people. Loss of hearing has different causes and it can affect different parts of the ear. These are four types of hearing loss that you should be aware of. Conductive Hearing Loss affects the outer and/or middle ear and results in the decrease of sound, but with the inner ear still functioning normally. The condition can be treated and may be caused by earwax, existence of fluid in the middle ear, bone abnormality or eardrum perforation. This is a common condition among children who suffer from infections or insertion of foreign objects in their ears. 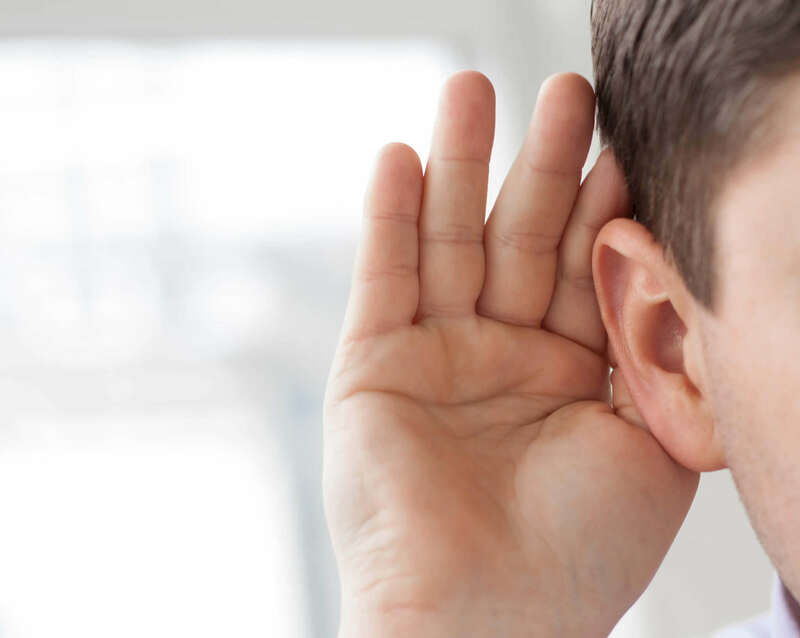 Sensorineural Hearing Loss is characterized by problems either in the nerve pathway connecting the inner ear to the brain or within the inner ear itself. Unfortunately, this permanent and untreatable type of hearing loss is caused by infection or disease, genetic predisposition, exposure to noise or aging. As a result, the hair or the nerve cells present in the cochlea are damaged. It is the most common type of hearing loss, but some patients can benefit from using hearing aids even if surgery and medical intervention cannot help. Sudden Sensorineural Hearing Loss is a type of sensorineural hearing loss that occurs suddenly for no discernible reason. The symptoms can be felt in a few days, and it’s important to get the ears checked as soon as possible so that medical intervention can still be effective. Doctors recommend setting an appointment with an otologist within two weeks of the appearance of the symptoms. 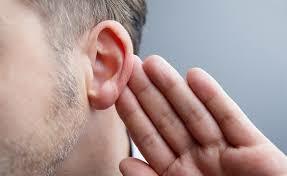 Mixed Hearing Loss is a combination of both types of hearing loss that affects the outer, middle, and inner ear. Conductive hearing loss can be treated, but the symptoms of sensorineural hearing loss can be permanent. Comments Off on What is Vertigo? 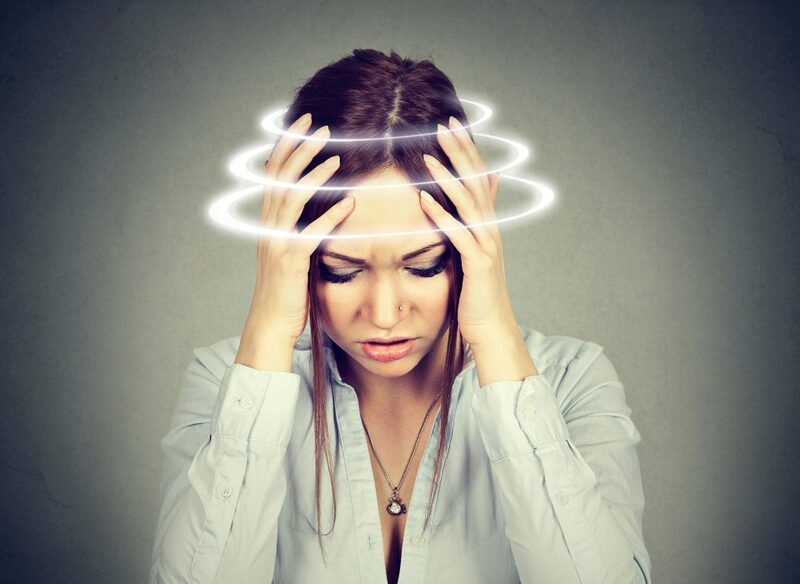 Vertigo simply means dizziness or the feeling that your surroundings are spinning, but this is more than just dizziness because vertigo creates the feeling of movement as well. 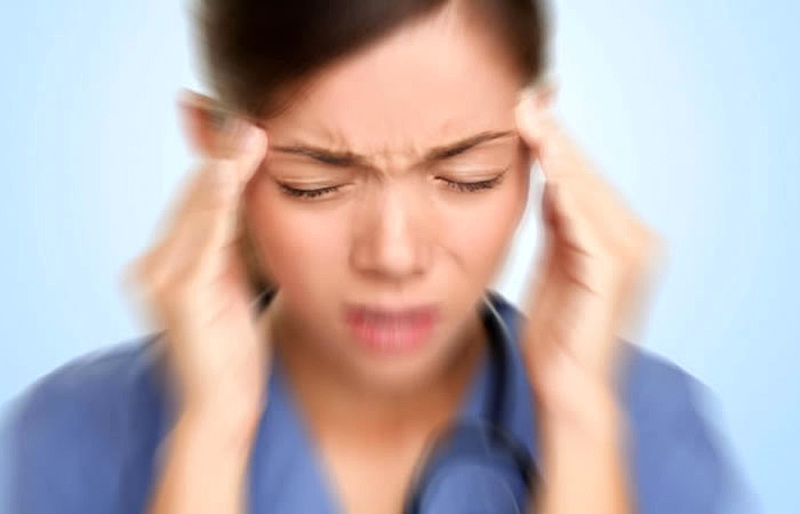 There are several causes of the condition and the symptoms are usually accompanied by nausea, sweating, vomiting, weakness, difficulty walking because of disorientation, visual and/or hearing disturbances, and a decrease in the level of consciousness. If the vertigo makes you feel as if you are moving, it is called subjective vertigo; while the perception that the surroundings are moving is what is known as objective vertigo. The condition has several causes, but it is classified as caused by either the inner ear or the central nervous system. 1. Vestibular Neuritis or Labyrinthis. These are the terms that refer to the inflammation of the inner ear and can cause hearing loss and vertigo for several days. Vestibular neuritis is the inflammation of the nerve from the labyrinth to the ear. The labyrinth controls hearing and balance, so when it gets inflamed, the signals sent from the labyrinth to the brain become conflicting. The treatment involves getting rid of the virus or bacteria that caused the infection. 2. Head Injuries. If you suffer from a head injury, it can sometimes cause vertigo. If the symptoms appear, make sure that your medical provider knows about it. 3. Meniere’s Disease. 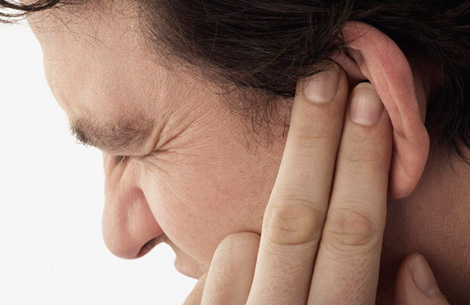 This condition affects the inner ear and will cause symptoms such as vertigo, tinnitus, hearing loss, and pressure in the ears or aural fullness. 4. Medication Side-Effects. Sometimes your medication can cause vertigo, so make sure you read the label and ask the doctor about the side-effects. If vertigo is becoming a problem, you can ask your doctor for an alternative prescription. 5. Multiple Sclerosis. This health condition affects the brain and the spinal cord, that is why some people might experience vertigo. 6. Migraines. 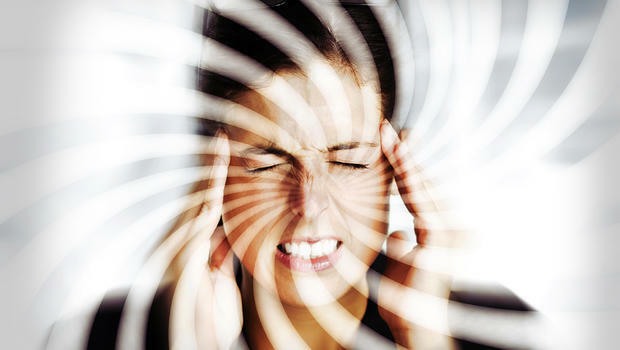 The symptoms vary from person to person, but some patients experience vertigo during an attack. 7. Acoustic Neuroma or Brain Tumor. Acoustic neuroma is a benign brain tumor that affects balance and hearing. A brain tumor on the other hand, is malignant and grows on the bottom part of the brain or the cerebellum. 8. Stroke or Transient Ischemic Attack. This condition can temporarily cut off the blood supply to the brain and will cause a lot of problems including vertigo. 1. Peripheral Vertigo. This is the most common type of vertigo and is caused by problems in the inner ear such as labyrinthis or vestibular neuronitis, head injuries, Meniere’s disease, benign paroxysmal positional vertigo or BPPV, and taking some types of medicines. 2. Central Vertigo. This type of vertigo is caused by problems in the brain or parts of the brain such as the brainstem or the cerebellum. Vertigo is a symptom of medical conditions such as multiple sclerosis, migraines, acoustic neuroma, transient ischemic attack, stroke, and brain tumor. 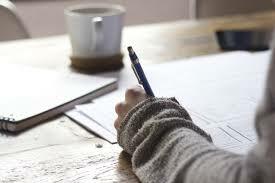 Writing an essay seems to be perceived as a dreadful task among a vast number of college students. They find the task rather overwhelming, but they are left with no choice but to comply – especially when classes often ask for papers several times over the course of the semester. As dreaded as this endeavor might be, there are tips for any student to follow that efficiently breaks down the task and makes it manageable to do. Writing an effective essay doesn’t necessarily have to be difficult, if you follow this simple guide, that is! Every essay must have a topic or a subject that the entire paper is all about. It may be an assigned topic given by your professor, or you may be given the freedom to choose a topic of your own to write about. In starting out your essay, keep in mind what view of the subject you’re going for – should it be a general overview? A specific analysis? Narrowing down your focus is often necessary so as not to get overwhelmed in writing the paper. You might garner some ideas prior to writing down your essay. In order to keep track of your line of thought, jot down your ideas in paper to better organize your points. Doing so allows you to oversee connections and links between a set of ideas more clearly. Having an outline also gives you structure for your paper. 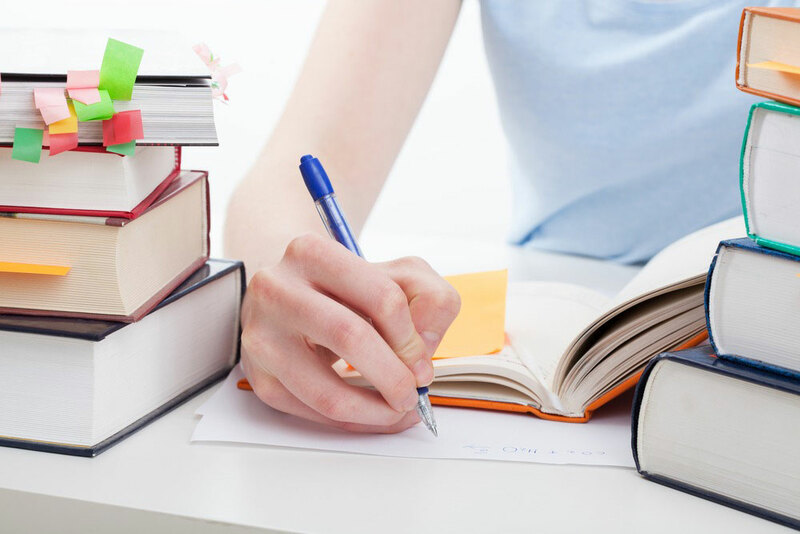 Your thesis statement must highlight the main point of your essay effectively. This helps the reader to grasp what you are trying to say in your paper. A thesis statement generally is composed of two parts: one being the topic, and the other stating the point of the essay. Gather the main ideas of your essay and point out which among them spans the rest of the other ideas. 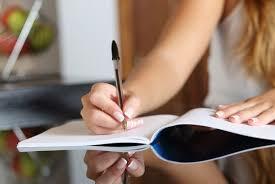 Writing an effective introduction is important in order to keep the reader’s interest and lure them to read the rest of the paper entirely. It must be successful in attracting the attention of any reader while at the same time showing the essay’s focus. This is because the introduction must be relevant to your general subject. You can use attention grabbing devices such as an anecdote, a wise quote, or a shocking information. Your conclusion must effectively sum up your general points. Not only does it serve as a closure of the topic, but here is also where you offer a final perspective of the subject. It must consist of at least three to five well-crafted sentences. Review your main ideas and provide reinforcement if necessary. Tomatoes are rich in Lycopene and packed with other essential nutrients. With that, a regular consumption of these shiny, red-orange tomatoes bring about a lot of benefits to the body. There’s no need for you to worry if you’re not an avid fan of its inherent taste between sweet and acidy. You can still enjoy the wonders to tomatoes, as there is more than one way to prepare them. Tomatoes can be incorporated in your meals, grilled, stuffed, served as sides/appetizers, and more! 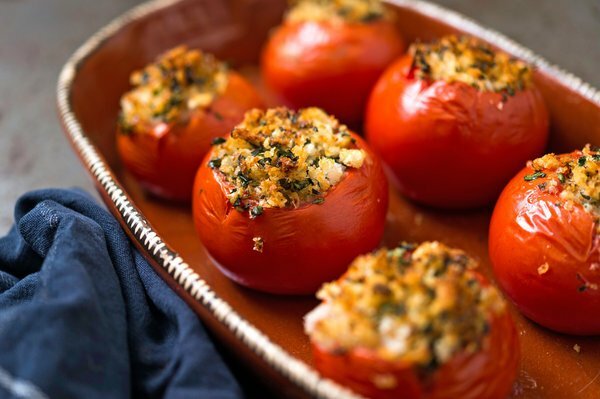 Stuffed tomatoes – Especially at room temperature, tomatoes are perfect to be stuffed and baked with a flavorful of other ingredients. For starters, you can never go wrong with stuffing tomatoes with layers of Brie cheese. For a more sophisticated taste, stuff them with pine nuts, fresh oregano, and rice. Squashed tomatoes – Generally known as an Italian dish, this is a simple and light meal to cleanse one’s palate. It is easy to prepare, and is famous around tomato peak seasons where they are harvested ripe, fresh, and flavorful. 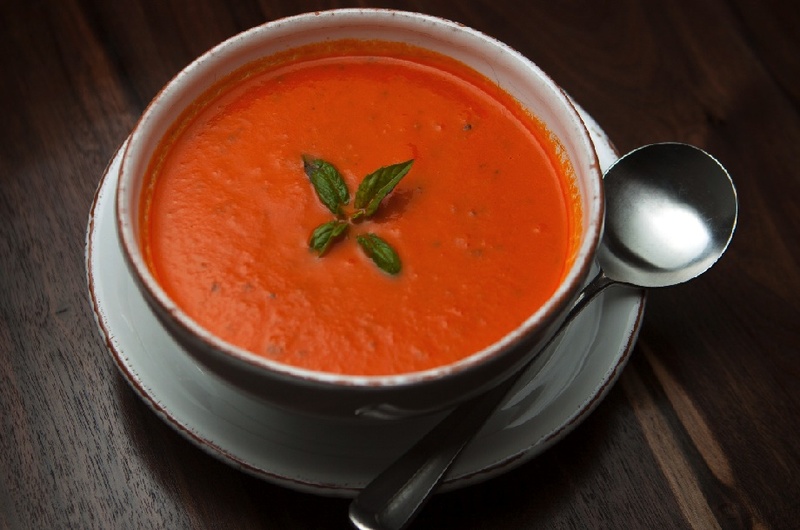 Hot tomato soup – If you’re feeling a bit under the weather, stray away from canned soups and prepare a fresh hot dish with tomatoes in them. In preparing this, it is important to make use of good-tasting tomatoes so as to perfect the balance of flavors in the soup. You can always go for an easy cream of tomato soup, or incorporate it with basil yogurt cream. Jam – Yes, you read that right. Tomatoes can be made as jam and it is perfect to slather on crackers and slices of bread. You can combine it with olive oil bruschetta, grilled onions and garlic, pork, or even roasted vegetable. This can be served as an appetizer or a finger food at events. Salsa – Been wanting to spice up your indoor movie nights with fun snacks? Worry no more. You can incorporate freshly sliced tomatoes into your salsa. The unique fusion of flavors balance well with crispy pieces of corn chips and slices of grilled meat! Fried tomatoes – If you’re craving for fries or deep-fried chicken, consider a healthy alternative and go for fried tomatoes instead. 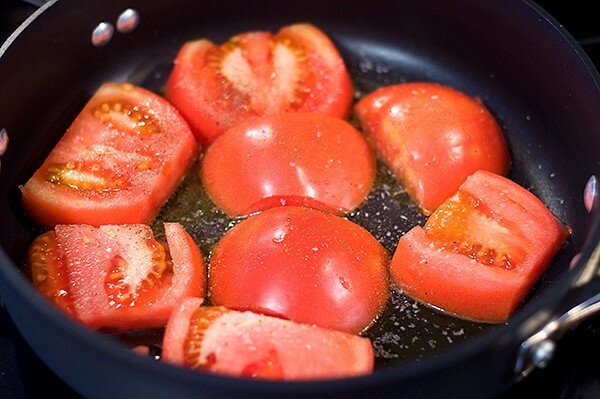 Sprinkle slices of tomatoes with salt and pepper, flour, and then grease them with a little butter. They can be served drizzled with cream sauce (for additional flavor). If you’re opting for a modern take, you can coat the tomato slices with breadcrumbs for that nice little crunch. Pudding – Tomatoes make the perfect ingredient to add in a summer pudding. You can go with combining tomatoes with cream, cheese, and ample amount of bread. This quartet creates a perfect harmony of flavors that will leave you wanting for more!